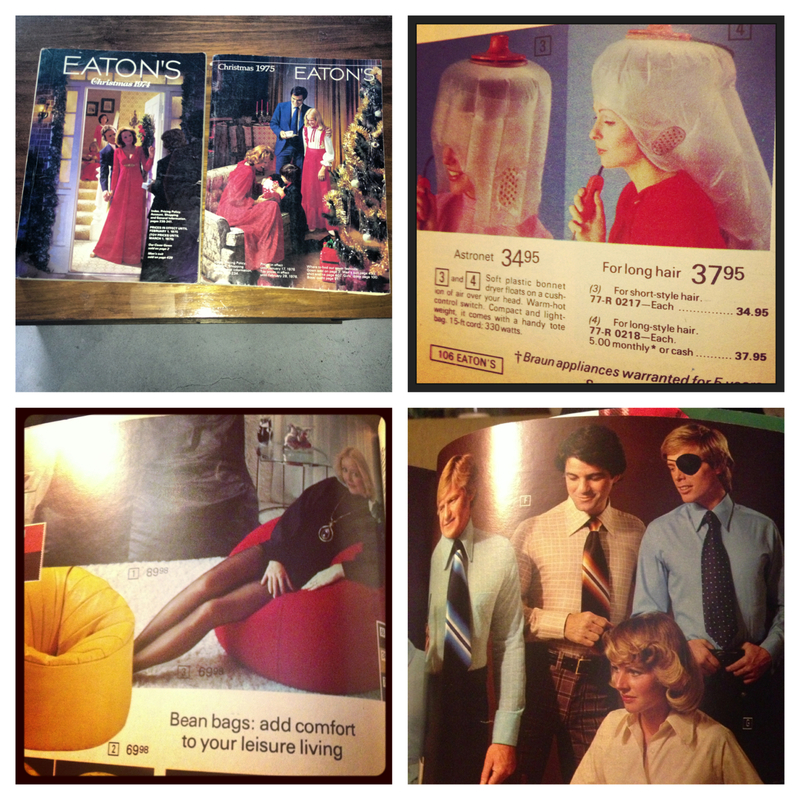 For some reason my grandmere had two Eaton’s Christmas catalogues from the 70s. 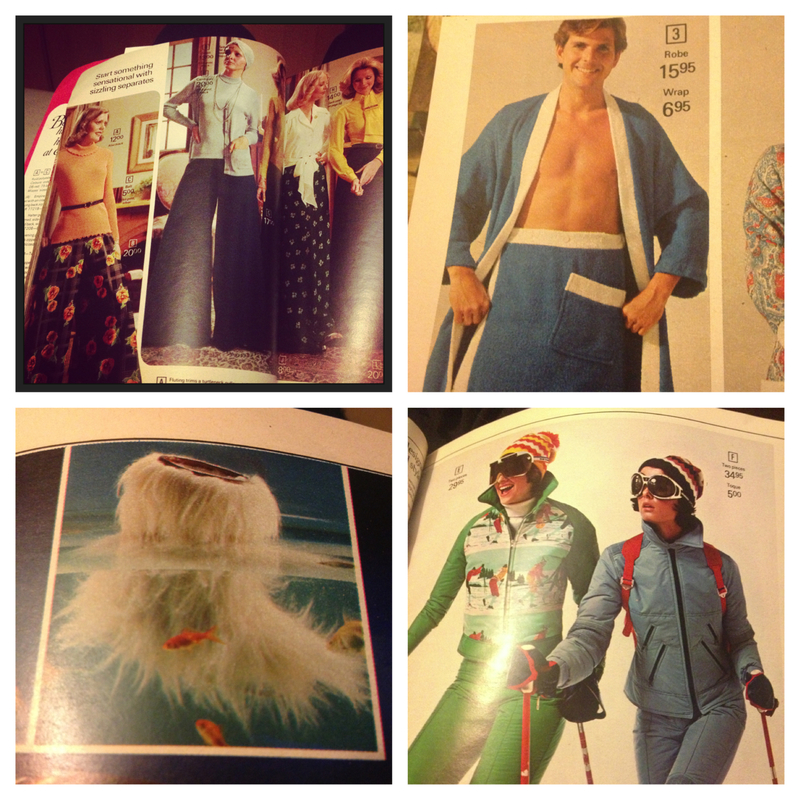 What a strange world it was before I was born, full of weird looking hair dryers, women lounging on bean bags without pants, and men wearing eyepatches like it’s no big deal. I call this next series grumpy model. 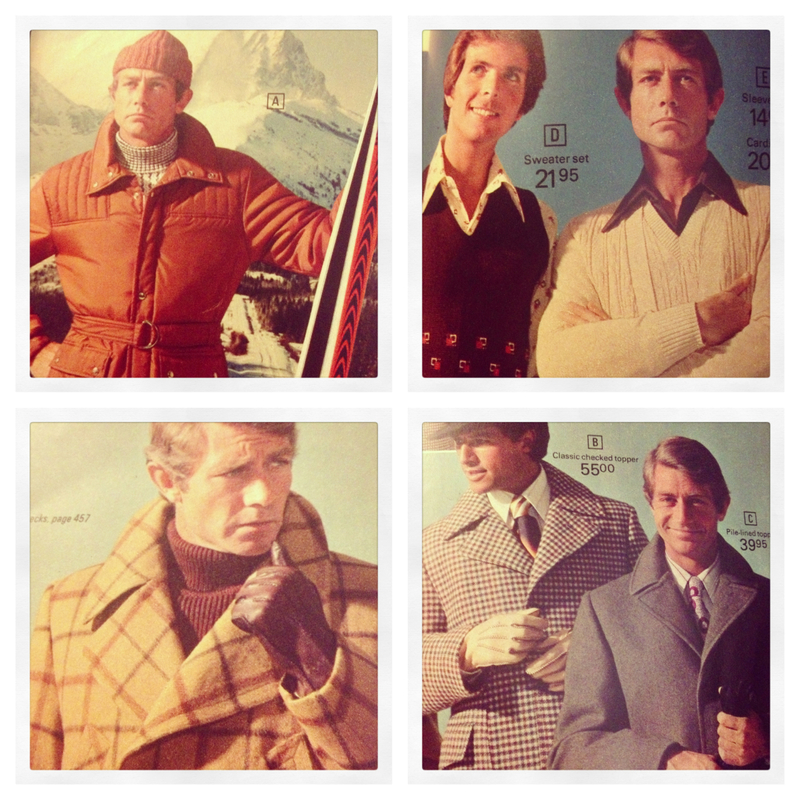 Wait, is that Grumpy model smiling in the last one? I think it is!